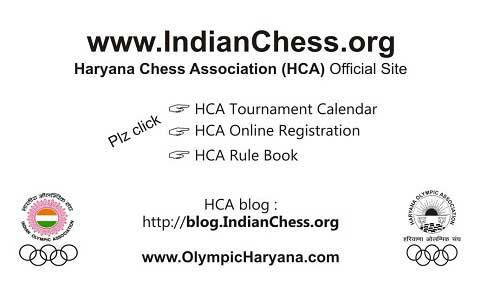 Whats your comments on HCA Rating only in Open Age-group only at HCA State Championships. All Players of Haryana are to be informed that HCA are going to start HCA Rating under "HCA in Education & Technology". HCA will constitute a 3 or 5 members committee of interested Top HCA Players as HCA Rating Officers. Those who are interested in this. 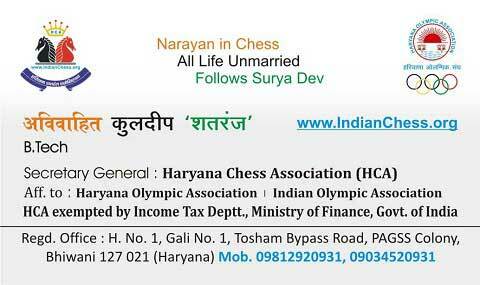 Kindly do "Online Submission" on www.indianchess.org . Plz visit "HCA in Education & Technology" page for more details.